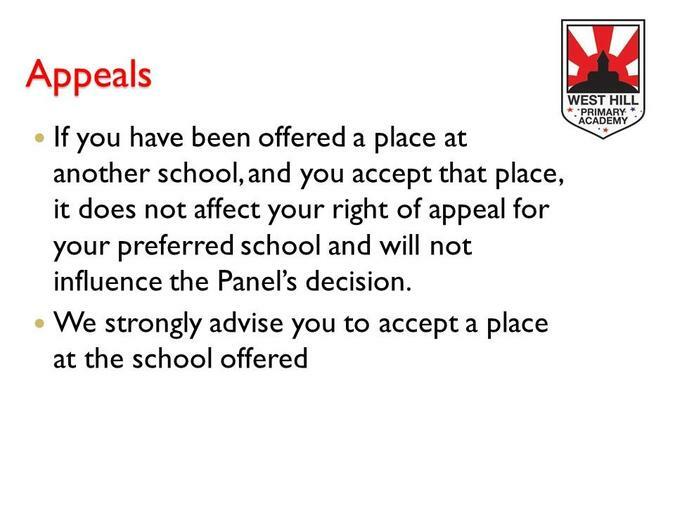 Please contact our school office if you would like to arrange a visit for the next academic year admissions. 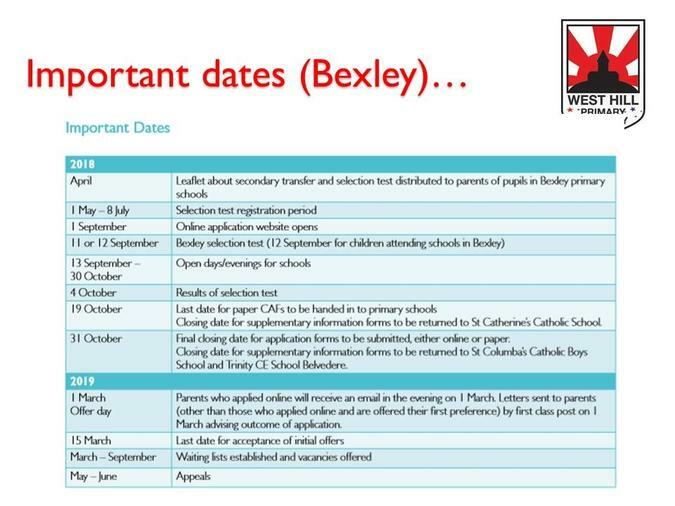 We have dates available or if your can’t make these, we can do individual tours by appointment. 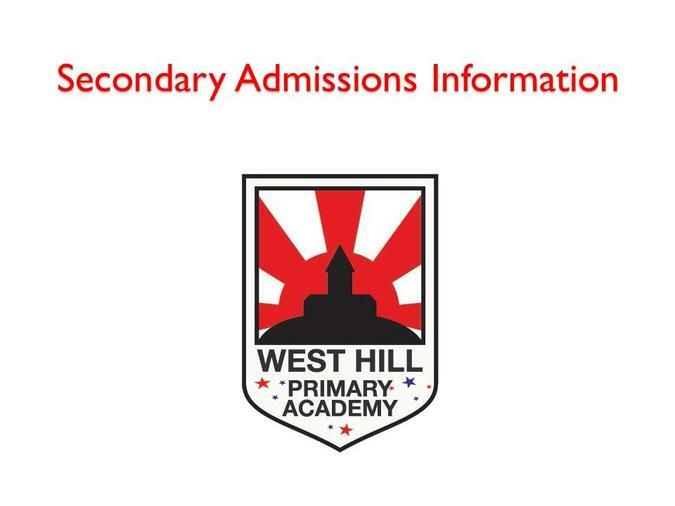 For in-year admissions, please contact Clare Sommerville via the Main Office. 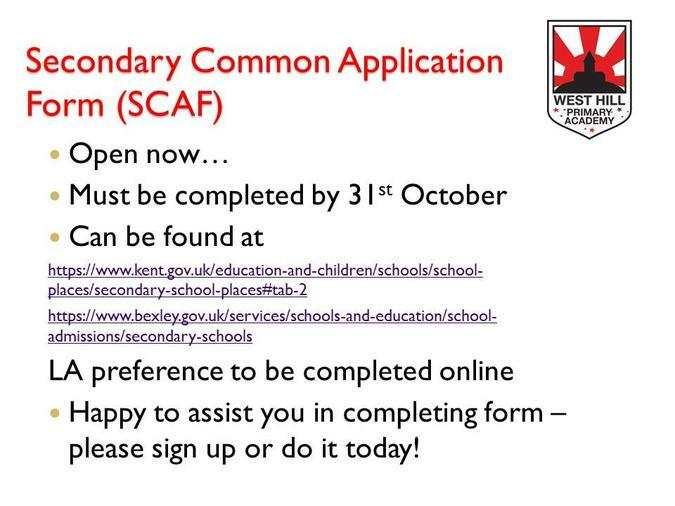 For full details, please see the Admissions document listed above. 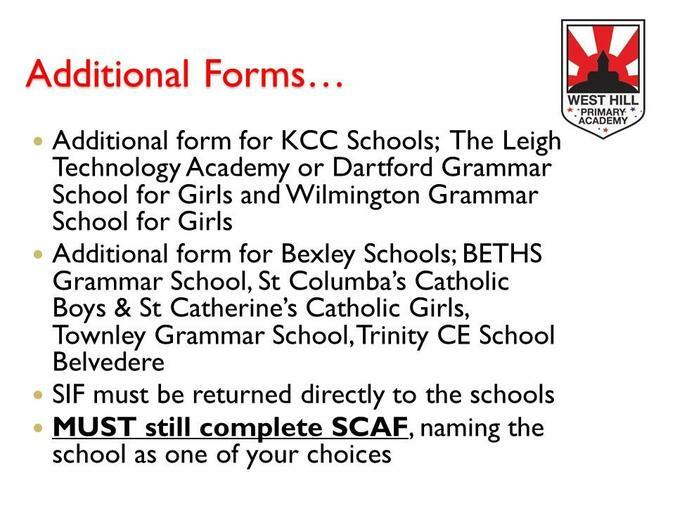 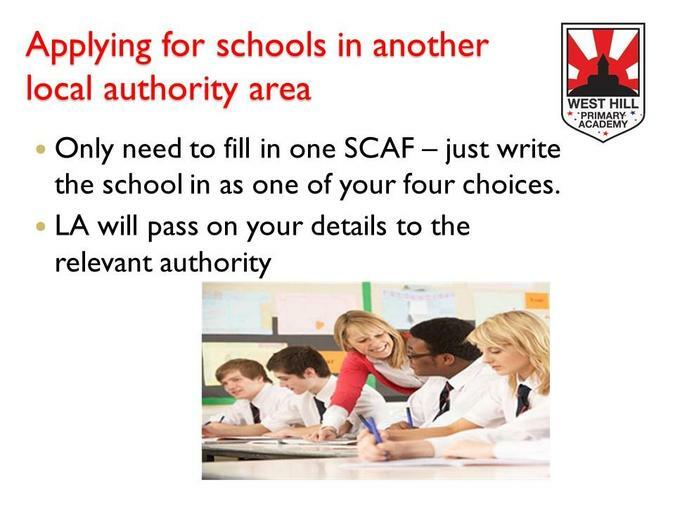 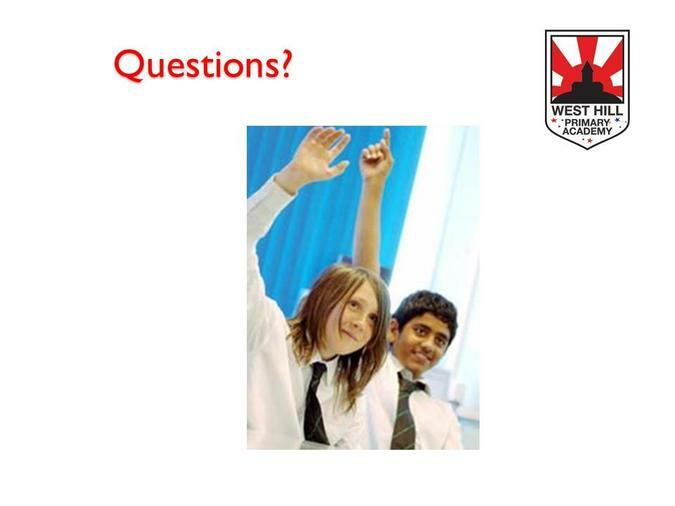 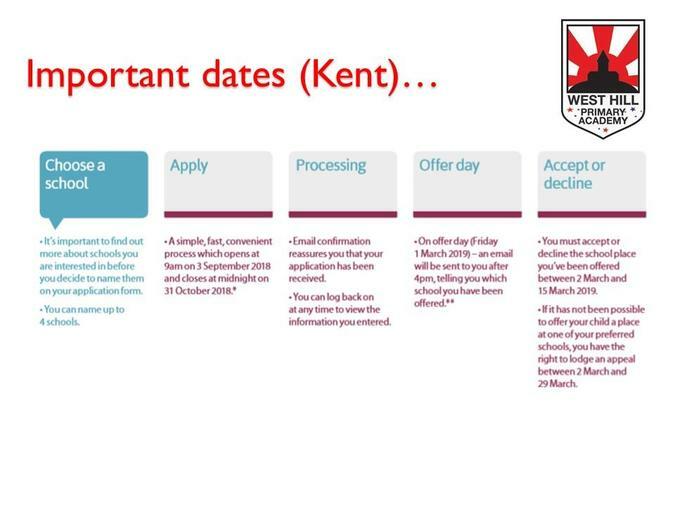 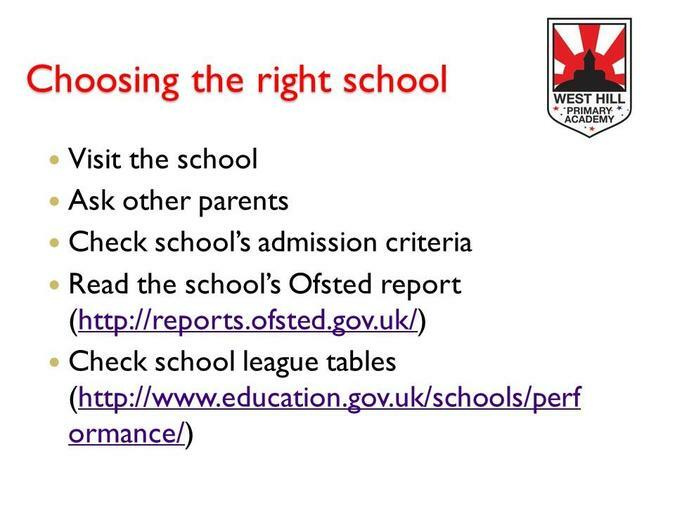 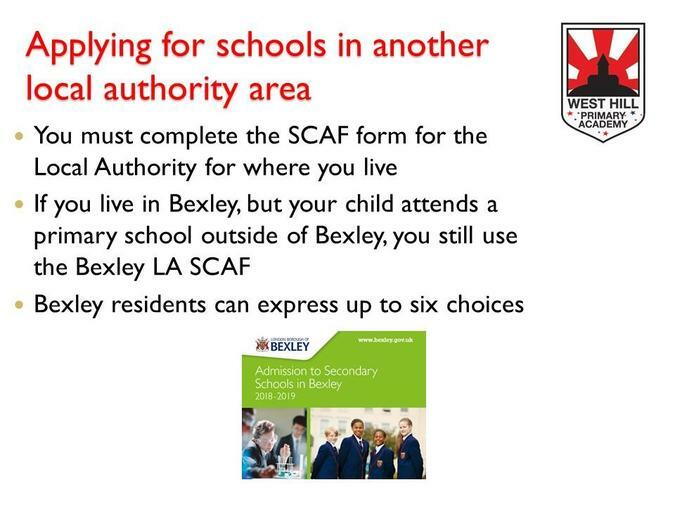 The Local Authority, Kent County Council, is responsible for the admission arrangements at West Hill Primary Academy. 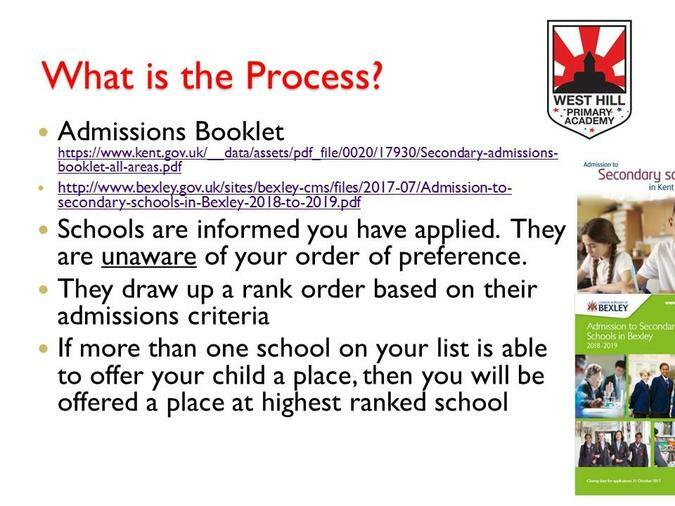 For admission arrangements, please use the link below. 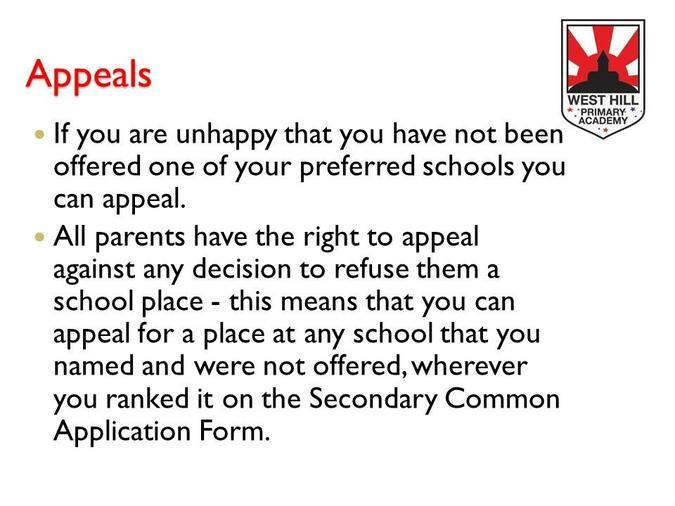 For the oversubscription criteria for schools for 2017/18, please read the document below.